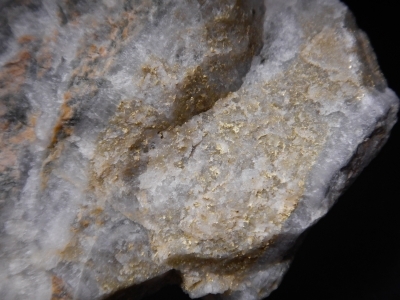 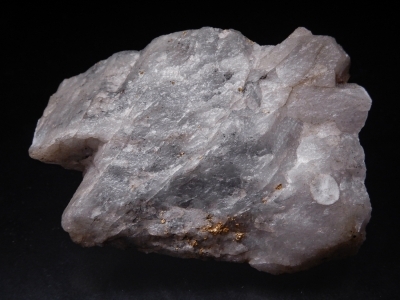 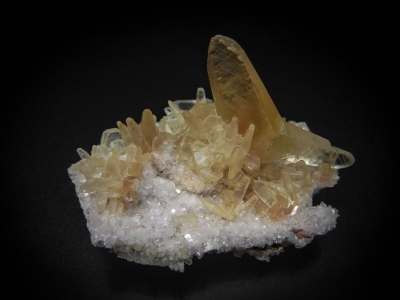 This is a great specimen for collectors who like different calcite forms. 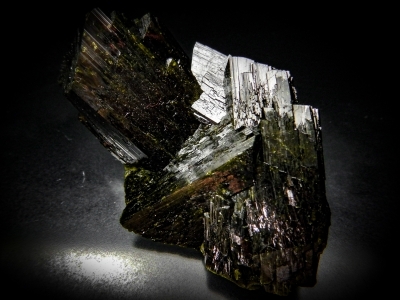 There are very elongate scalenohedral crystals, in addition to doubly terminated prismatic crystals, with scalenohedral modifications. 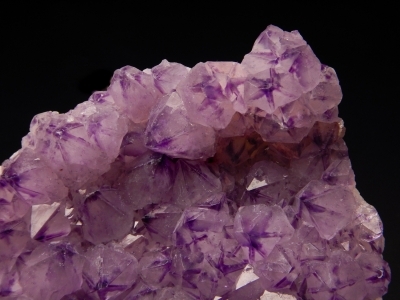 The key elements of this are the butterfly twins, which occur as large open butterflies, in addition to smaller closed butterflies. 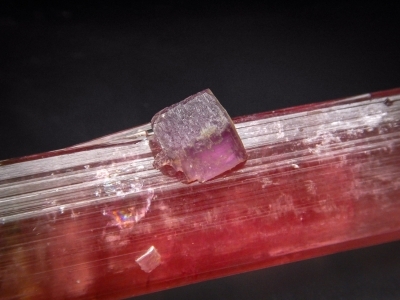 These pseudo-octahedral crystals show abundant twinning. 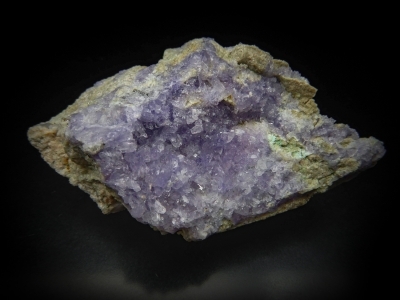 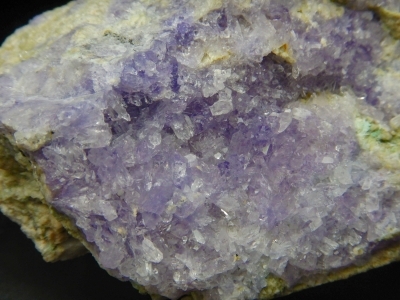 Beautiful lilac color creedite crystals from the main pit at the hall mine. 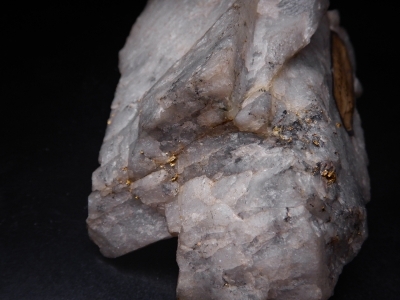 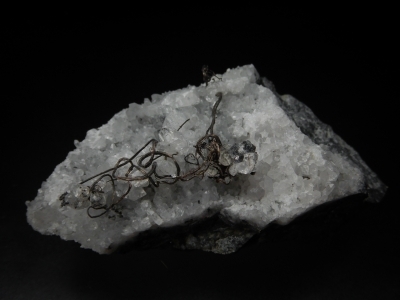 Collected in the mine by Scott Werschky in 1989. 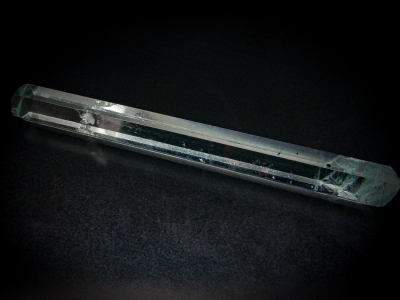 This aquamarine crystal is exceptional due to the length to diameter ratio. 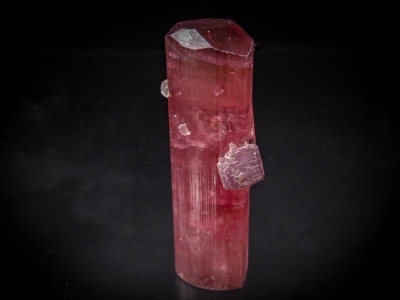 The c-axis is exceptionally long compared to the other axes. 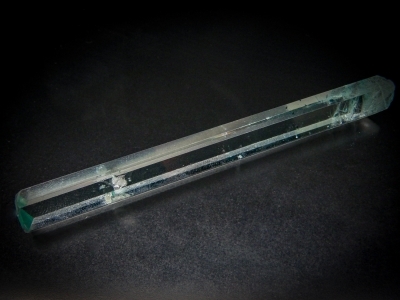 It has fantastic transparency. 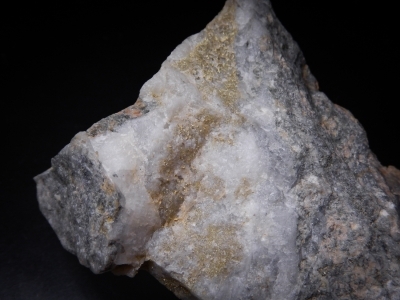 About 2cm from the top there are negative crystals formed from fluid inclusions, which at first glance appear to be damage, but are actually interesting crystal forms. 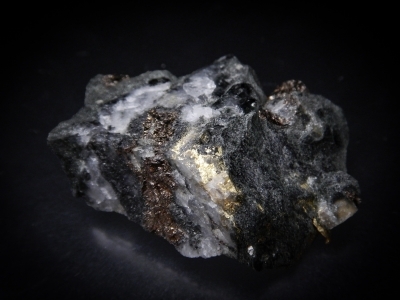 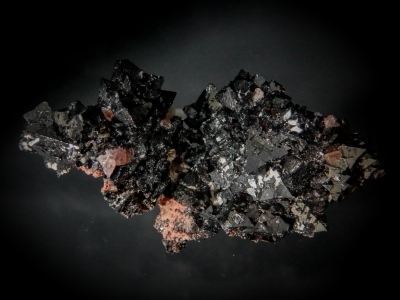 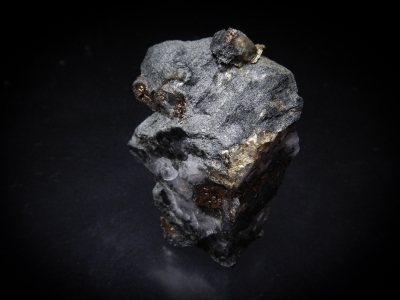 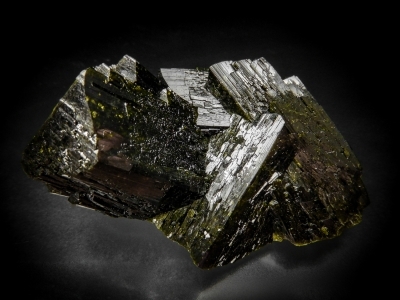 A group of four intergrown epidote crystals. 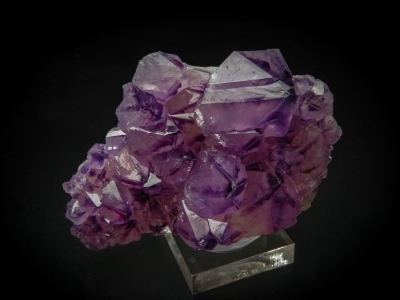 The crystals are quite large and very lustrous. 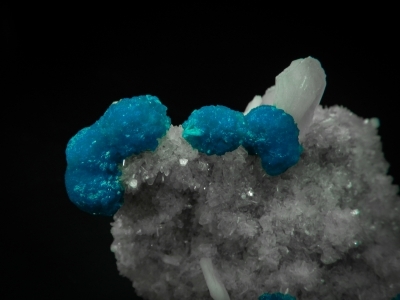 Nice spherical groups of cavansite crystals perched on the matrix offset by large white stilbites. 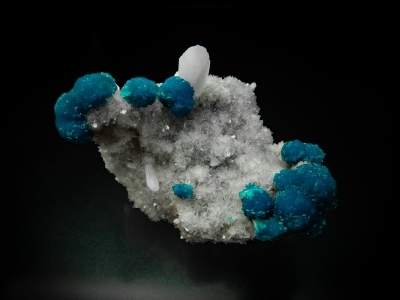 Lustrous electric blue azurite crystals on a matrix of malachite ps. 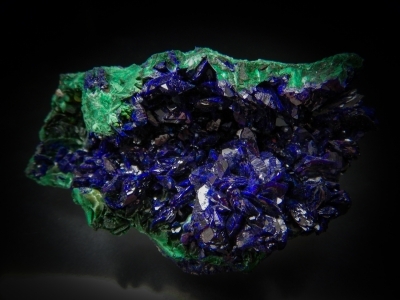 after azurite There has obviously been a lot of azurite on the market in the last few years with the production form the Milpillas Mine. 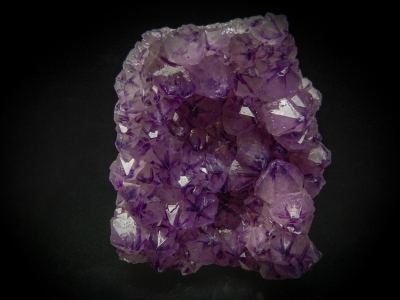 While these crystals are not as large as some from Milpillas, the color and luster is superior. 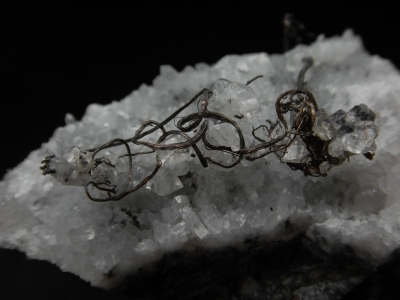 A group of thin silver wires in and on scalenohedral calcite. 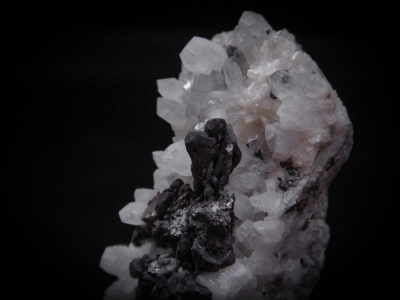 Well formed crystals nicely offset on the white quartz crystal matrix. 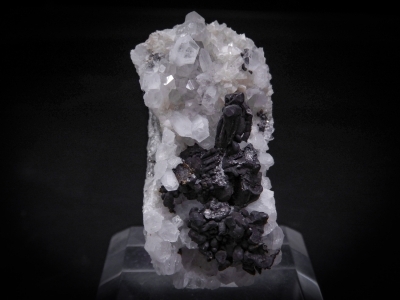 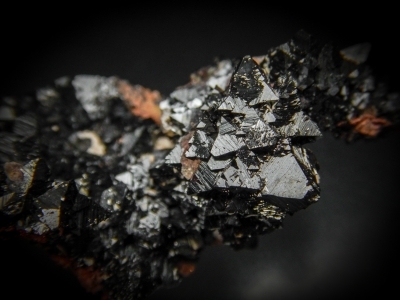 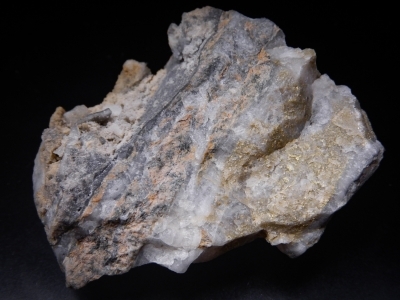 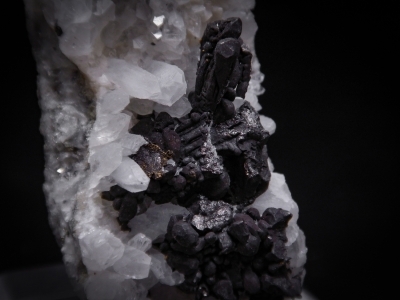 Hessite is one of my most favorite minerals!